There are now 1.16 crore sacrificial animals in the country for the upcoming Eid-ul-Azha against last year’s 1.04 crore, according to the Fisheries and Livestock Ministry. A handout of the ministry said there are 44.57 lakh sacrificial cattle and buffalos while 71 lakh goats and sheep across the country. According to statistics provided by the Ministry of Home, Muslims across the country sacrificed some 1.15 crore cattle during last year’s Eid-ul-Azha. This year, the number of healthy sacrificial cows and buffalos is 29.20 lakh while that of goats and sheep is 18.26 lakh and the rest are unproductive animals. 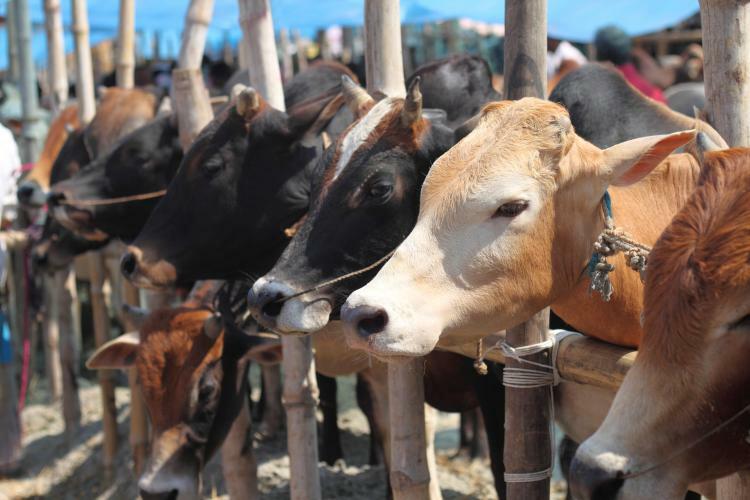 There will be four medical teams in Dhaka’s Gabtoli cattle market while two each in big cattle market and one each is small cattle market for the checkup of animal health, said the handout. Each team will be consisted of one veterinary surgeon, one technical worker and one intern veterinary surgeon, according to the handout. The government has taken necessary steps for preventing the sale of harmful steroid and hormone medicine, use of chemicals in cattle farms and smuggling of steroid, hormones through the bordering areas. The law enforcers will strongly monitor the use of chemicals and steroid on sacrificial animals at district and upazila levels across the country ahead of Eid-ul-Azha. Besides, the ministry with the help of two city corporations of Dhaka will take effective measures for the management of animal wastes and maintaining cleanliness of Dhaka city. Steps will be taken to create awareness among people through media.